Carry this luck charm with you always and you can attract someone special in your life or give it as a token from your own heart to those you love. 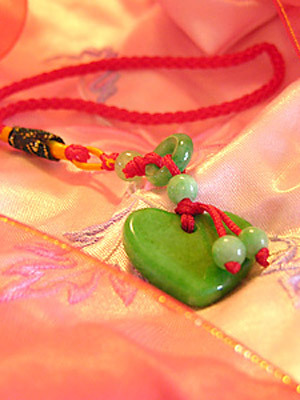 Hand carved jade or jade-quartz heart. A heart symbolizes love and friendship.